There is nothing more rewarding than to be able to drive into your property and see a well built (self built) post and rail fence. 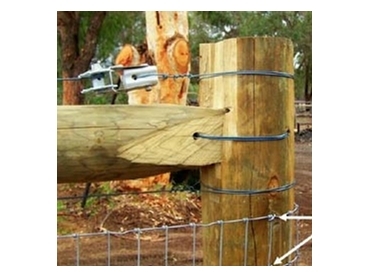 Not only do they look good but they also provide excellent security for horses and other animals. Do you intend to keep horses? Is it for a “feature” fence? Are there other animals such as sheep you wish to keep inside your property? Once these questions are answered, planning the fence can begin. Working out the length of the treated pine post and rail fence is the next priority. This will determine what materials are required and, most importantly, how much it will cost. It is important to be accurate, especially when doing post and rail as the rail length determines the post spacing. The intended height of the treated pine post and rail fence also needs to be determined. Standard heights are 1200mm and 1500mm from the ground. Once these measurements are decided, the materials can be chosen and sourced.